As my kids have gotten older I think stockings are getting harder and harder. Coloring books and crayons just don’t cut it anymore. 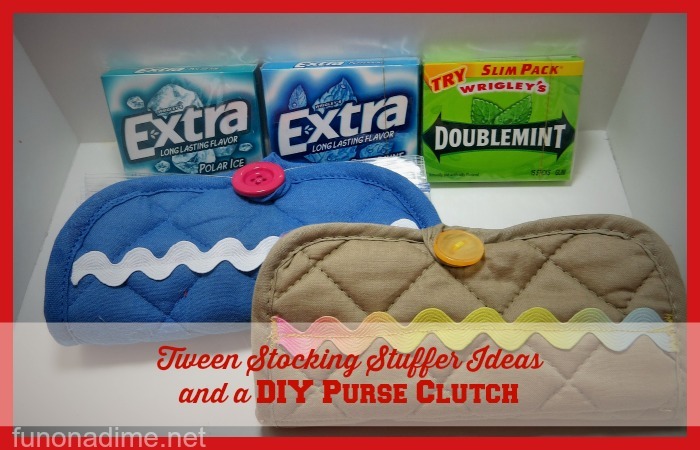 I have been compiling a good list of tween girl stocking stuffers that I thought I would share with all of you! In our family no stocking was complete without an orange, a quarter and a pack of gum. I don’t know where the tradition started but we have continued it on with my kids. I was at my local Dollar General and I picked up Extra® gum for our family stockings. 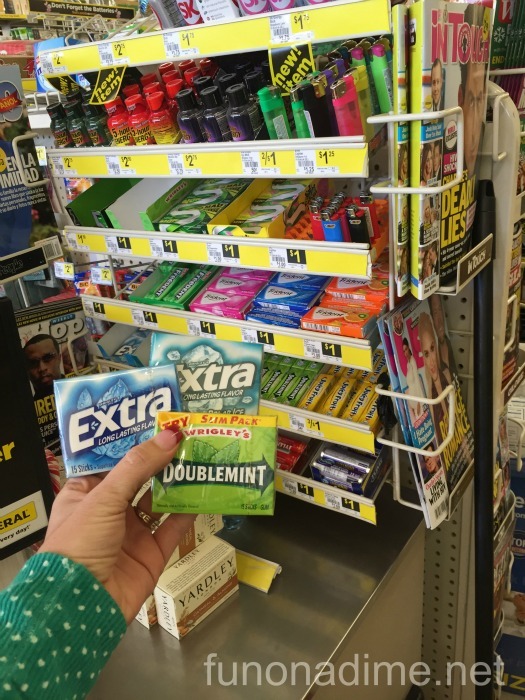 There are so many flavors to choose from I picked up Extra® Peppermint Gum, Extra® Polar Ice Gum and Doublemint®. 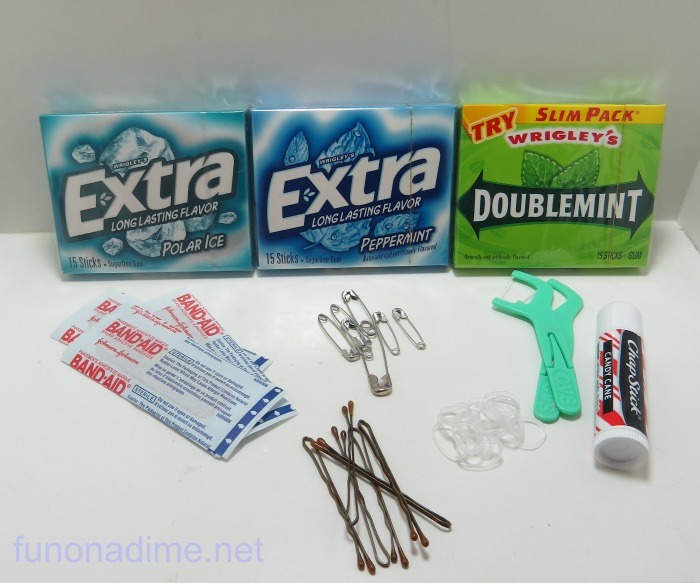 Extra® Spearmint Gum is another favorite in our house. Lots of choices to please anyone young and old! 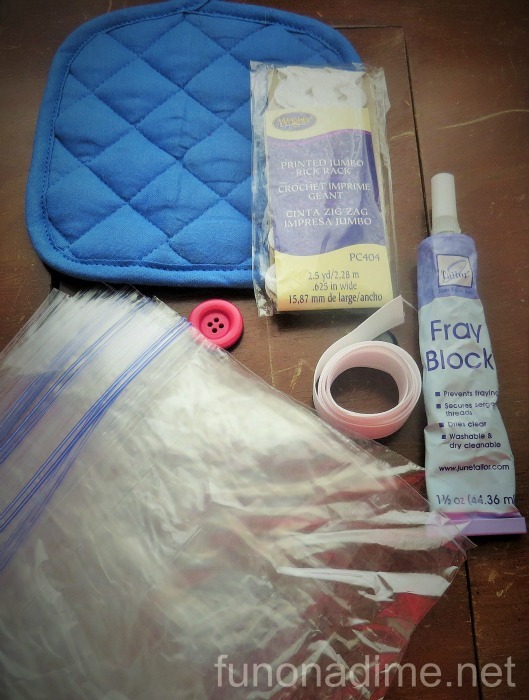 I love making gifts and stockings are no exception so this year I am making DIY Purse Clutches to hold all those necessities that tweens/teens always need! 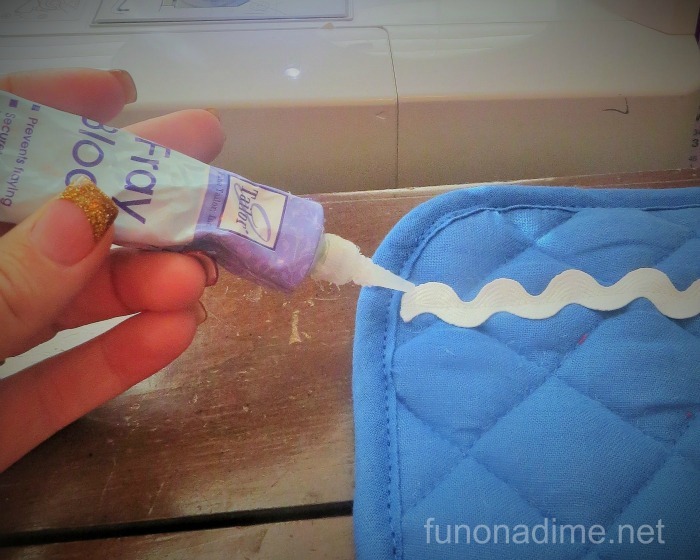 It is the easiest sewing project ever and even the most beginner sewer will have no problem! First you need to fold the pot holder in half and pin the rick rack to the front. 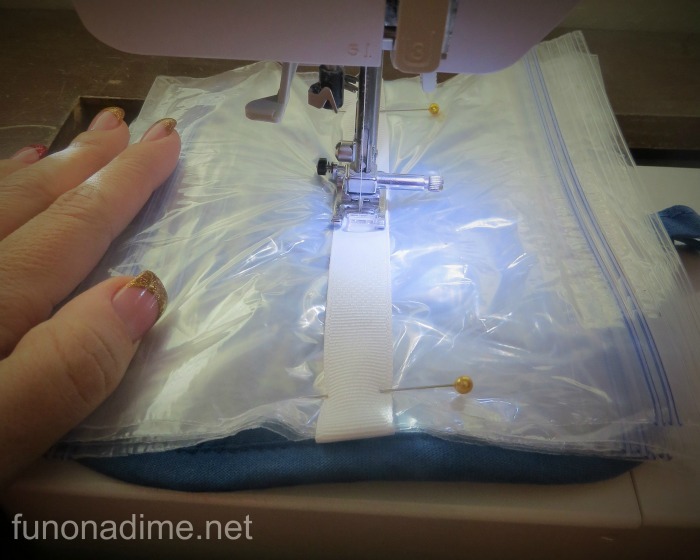 Sew straight down the center of the rick rack to secure. Next put Fray Block on the ends of the rick rack so it doesn’t unravel. 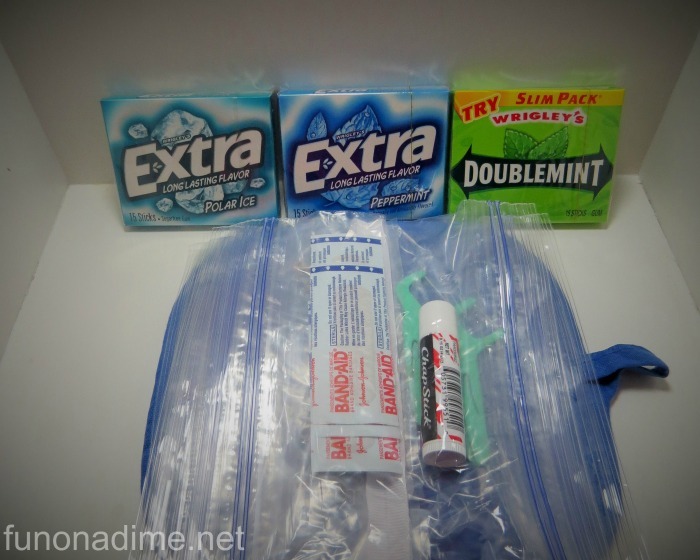 Now you need to stack up your baggies alternating the sides that open. One to the left one to the right etc. Once they are stacked place them on top of the pot holder. 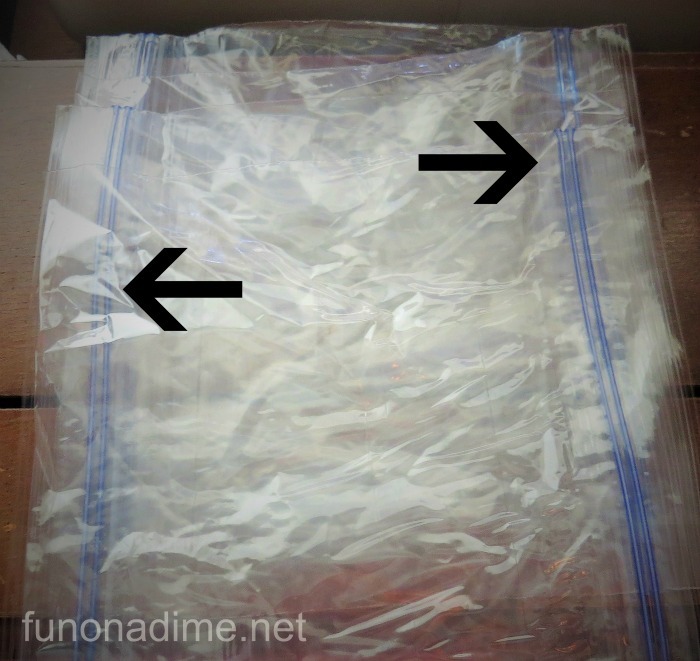 Make sure the loop n the potholder is on the side of one of the opening baggies. 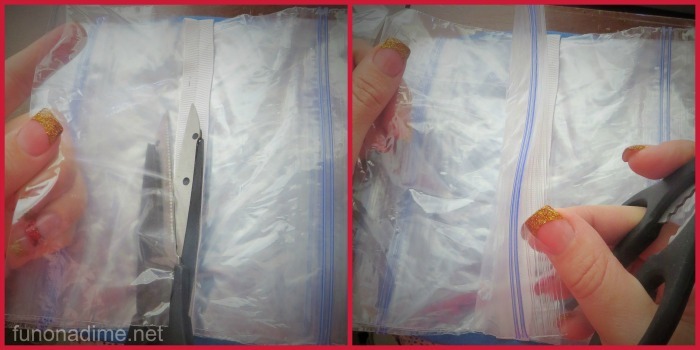 Place ribbon over the center of the baggies. Have the ribbon hang over the edge at least an inch on each side. Tuck ribbon underneath edge of baggies and pin in place. 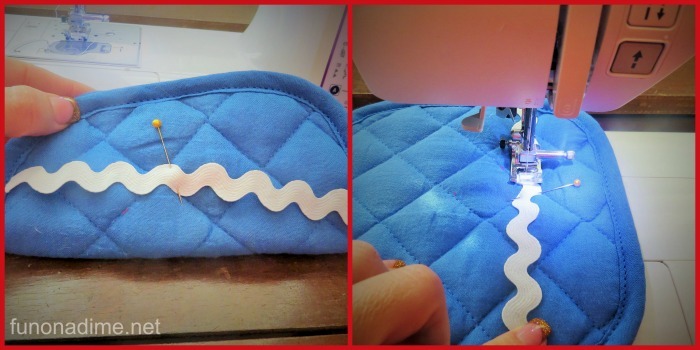 Do that for both sides and then sew down the middle making sure to reverse stich at start and finish of the line. All that is left is to sew on the button. 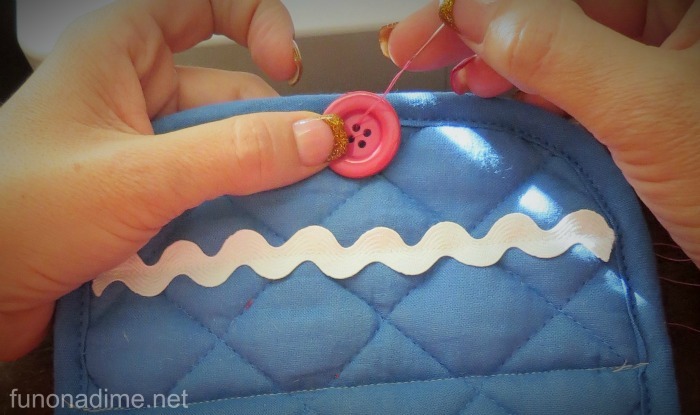 Fold the potholder in half and put the button where the loop is on the other side of the potholder. There you have it the perfect tween stocking stuffer. You can make them in any color! I have made red ones, black ones, and even polka dot ones. Really this list could go on and on and on! 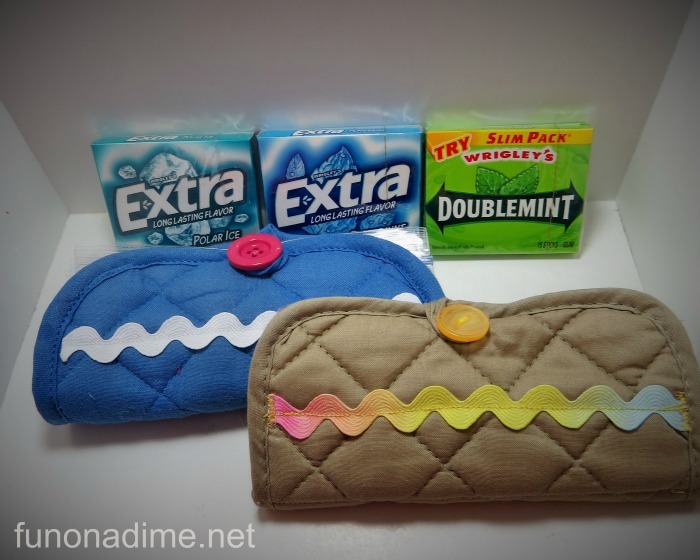 What is a must have item for your tween purse clutch?? Tip: They are great for any woman in your life filled with all the stuff you like to have that gets lost in the bottom of your purse. My sister keeps all her medicine in hers and they are a fabulous baby shower gift filled with must have baby items. The possibilities are endless! Filed Under: Blog, Crafts, Creative Gifts, DIY, Handmade, Older Children, organization, Sewing Tagged With: Blog, Christmas, Crafts, creative gifts, Made By Me! My kids love making them too! 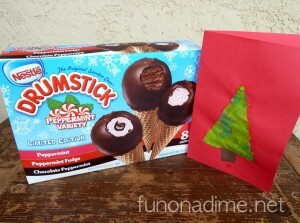 It is a great gift for them to make for friend birthday parties!